The first thing that comes to mind after the mention of a root canal, is all the pain associated with the procedure. What exactly are root canals? And is the treatment process painful? A root canal is a dental procedure usually prescribed to remove a tooth pulp if infected. The pulp is the soft part of your tooth located beneath the white enamel and dentin. This tissue contains nerves, connective tissue and numerous nerve endings that are responsible for your tooth growth. The good news is, a mature tooth can survive without the pulp as it continues to get its nourishment from other surrounding tissues. Contrary to popular belief, a root canal procedure is totally painless and highly effective. You can compare this treatment to a routine filling, with the exception that root canal treatments may take more than one appointment, depending on the severity of your condition. A root canal is essential because it will not only treat, but also preserves a tooth with infected roots. After the pulp is removed, your dentist uses a dental crown to restore your natural tooth appearance and function. Are you an ideal candidate for a root canal? A root canal treatment is necessary when the pulp becomes inflamed, causing pain and swelling. The inflammation can be as a result of tooth decay, faulty crowns, chipped tooth or repeated dental procedures on the same tooth. Any trauma inflicted on your tooth can also damage the pulp. The pain can range from mild to severe, and intensifies throughout the day or if you bite down on the tooth. You might also experience prolonged sensitivity to hot foods and drinks, and your gum may start feeling tender and swollen, usually around the problem area. 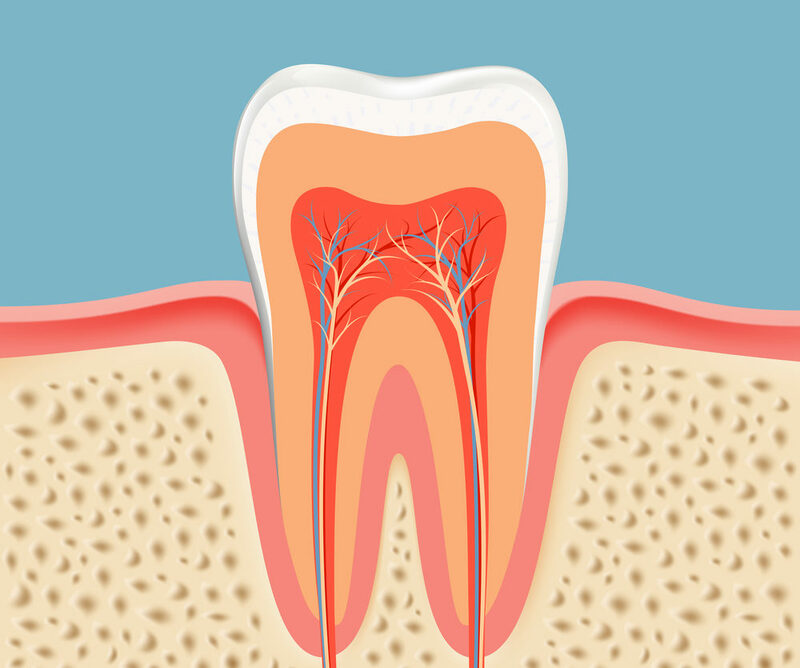 If left untreated, pulp inflammation leads to an abscess which eventually results in tooth loss. Therefore, it’s vital that you schedule an appointment with your dentist if you notice any related symptoms. The very first step involves an x-ray which establishes the exact area in your tooth the decay has formed. A local anesthetic is then applied to the infected tooth and surrounding gum. Next, the infected pulp is carefully removed and the inside of the tooth well cleaned and disinfected. The space created after the pulp removal, is then filled and sealed with gutta-percha, a rubber-like material. After your dentist ascertains that your tooth is fully healed, it’s restored with either a crown or a filling for additional protection. This can last you years or even a lifetime. Inflammation and sensitivity to hot and cold is normal after the procedure, and will go away within a few days. You can resume your regular oral care after the final restoration. Dr. Tyson, a Huntsville dentist recommends brushing at least twice a day and flossing once to keep future infections at bay. You might also need to avoid chewing on very hard foods, which can cause your tooth to break. Visiting your dentist regularly for tooth cleaning and examination also goes a long way.